Home/Egyptology/New Discovery: Mummification workshop installation in Sakkara. 35 Mummies, 5 sarcophagi, mummification oils in jars with inscribed names of the oils and much more. Also the gilded silver mask, the first to be discovered in Egypt since 1939. The Egyptian-German mission working since March 2016 and directed by Dr. Ramadan B. Hussein. The mission started 100% Egyptian then in 2017 the team invited more members from Germany and USA. University of Tubingen in Germany is a part of the team. “The Saqqara Saite Tombs Project” The Saite Dynasty (Dynasty 26, ca. 664-525 BC. ), best known for the cultural practice of archaism, has produced extensive and diverse repertoire of cultural revivals, running the gamut from architectural styles of tombs, themes of reliefs, literary genres to funerary texts. The Saqqara Cemetery has, so far, the largest concentration of Saite Sarcophagus-tombs, approximately 12 tombs, their architectural features and inscriptions have not been properly documented or published. The Saqqara Saite Tombs Project is launched in March 2016. 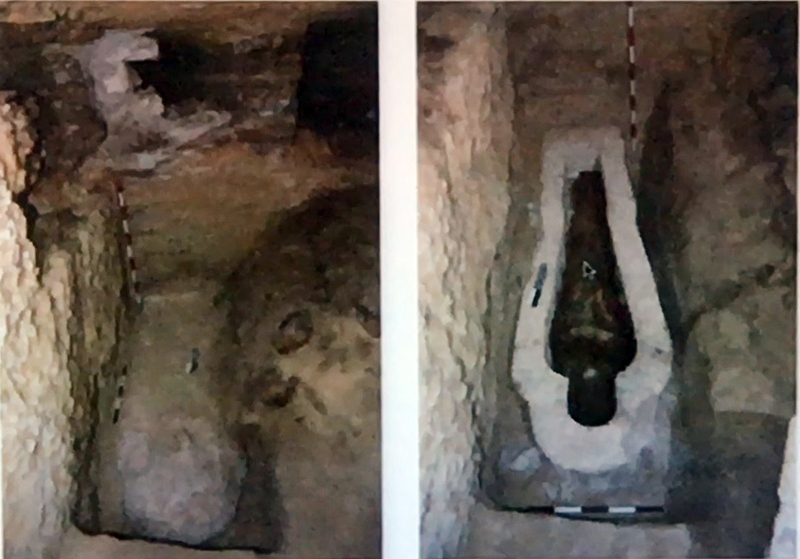 As a second round of epigraphical and archaeological survey, it focuses on the re-excavation, documentation, conservation and publication of the tombs of Padinist, Psamtek and Amentefnakht, all discovered between 1899 and 1950. 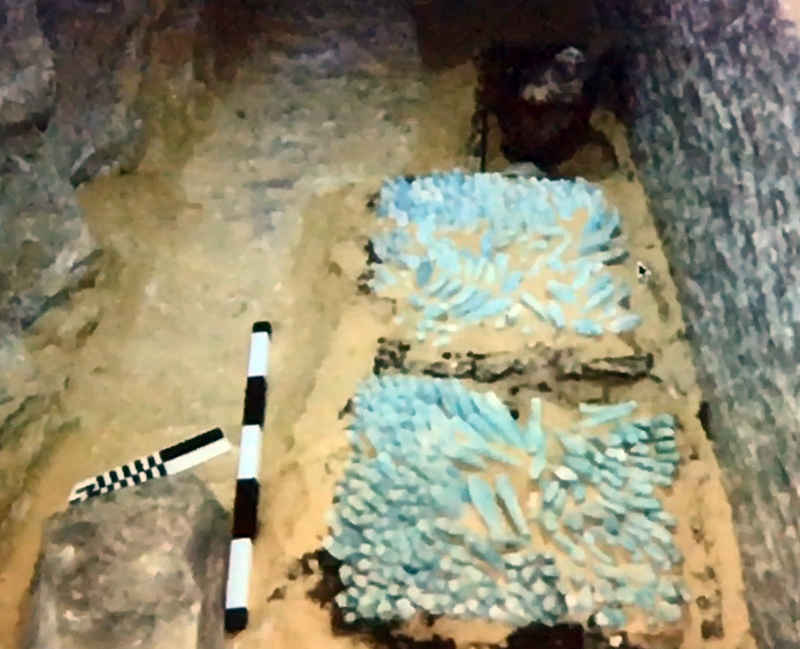 More details to follow including exclusive footage from the press conference held this morning by the Minister of Antiquities in Sakkara at the site of the discovery.